Kushner Cos., the family business of President Trump’s son-in-law and senior adviser Jared Kushner, received a loan of $184 million last November from Apollo Global Management, a firm whose founder, Joshua Harris, made several visits to the White House over the year, three people with knowledge of the matter told The New York Times. Harris met with Kushner multiple times to discuss infrastructure policy, but they also spoke about Harris possibly getting a job with the administration, which never happened. The Apollo loan was triple the size of the average Apollo property loan, the Times says. 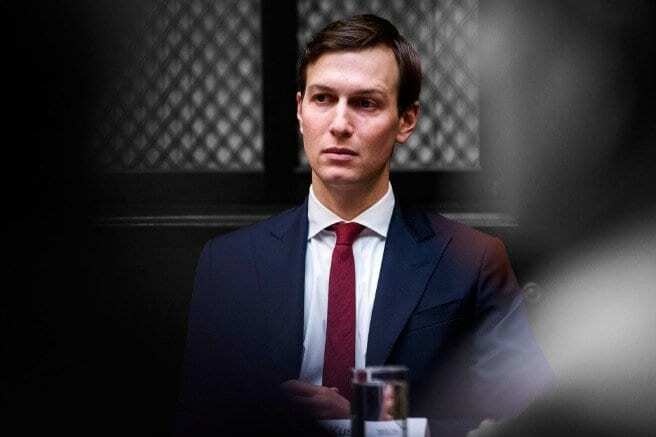 Citigroup also lent Kushner Cos. $325 million last spring after CEO Michael Corbat met with Kushner in the White House, reportedly to discuss financial and trade policy. This entry was posted on March 1st 2018 at 9:47am/09:47 and is filed under Elections, Live News Column 1, Politics. You can follow any responses to this entry through the RSS 2.0 feed.